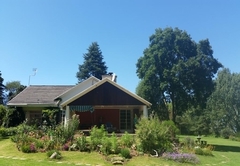 Wild Berry Guest Farm is a highly recommended B&B with self catering option, providing accommodation in Mooi River for tourists visiting the Natal Midlands region. Wild Berry provides an attractive, relaxed environment and facilities in which guests are reassured that their needs will be met, all of which translates to excellent value for money. 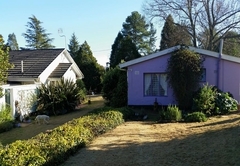 The small Guest Farm is set in typically beautiful Midlands countryside, with a view of Giants Castle, about 7 km from Mooi River central along the Giants Castle Road, and 7 km from the turnoff to the N3. 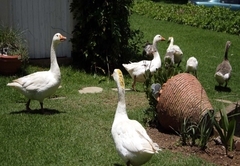 The area is particularly rich in indigenous wild bird life, and we share the property with geese, goats, small horses, cattle, donkeys, pigs, and chickens - which keep child visitors enthralled. 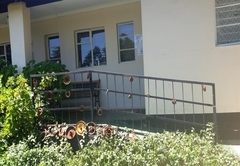 Our unpretentious yet well-appointed facilities provide wheelchair-friendly options, family room options, double rooms, and twin accommodation. 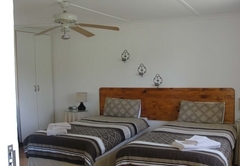 All our rooms are fitted with panel heaters, en-suite bathrooms, veranda’s and private braai areas, and all but one of the several cottages is self-catering. We employ a very small staff who are well organised and perform their duties unobtrusively. 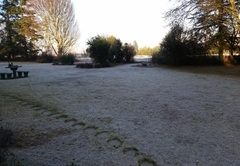 We have extended the property, adding most of the cottages, a social centre with TV, games and an honesty bar stocked with drinks and snacks, an Art and Crafts Centre, and an education / conference venue where 20 delegates could be comfortably seated (though our maximum guest capacity is 18 - should all beds and bunks be taken in to account). We use borehole water, and are licensed to sell alcoholic beverages. 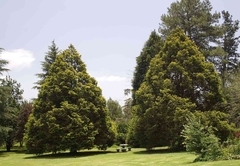 We have four separate cottages, all set in extensive and beautiful established gardens. 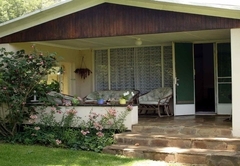 These cottages offer a variety of accommodation configurations. 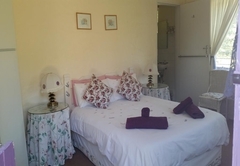 Is a two bedroom family cottage, sleeping up to six, which has a kitchen and bathroom containing a separate bath and shower. 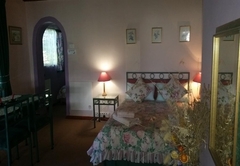 Is a one bedroom cottage with a double bed and bunk beds. 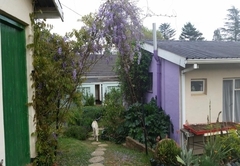 It also has a full kitchen and a bathroom with a shower. 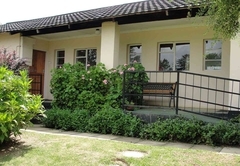 Has a single bedroom with twin beds, a kitchen and bathroom with shower and bath. 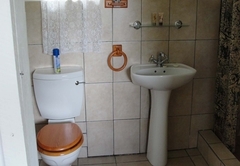 Has a single bedroom with double bed and a separate shower room. It has no kitchen but does have tea and coffee making facilities. 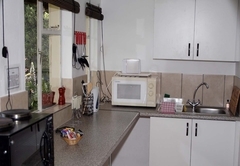 All of our cottages have TVs with SABC and E TV channels, Braai facilities, hairdryers, heaters and fans. Microwaves and cots are available upon request. 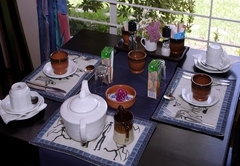 Tea and coffee making facilities are included in every cottage. 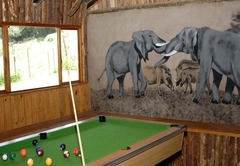 We have a guest lounge containing a fully licensed bar and games such as pool, darts, table football, chess and a wide variety of board games. 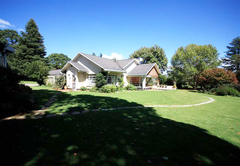 On the Giants Castle Road, Wild Berry is set in the heart of the Drakensberg and is a birdwatchers dream. 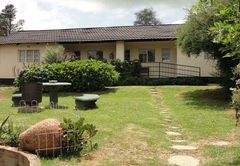 An ideal base to discover the local attractions, explore the farm or enjoy a game of chess or have a quiet (romantic) break. A unique experience! 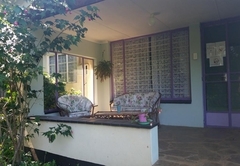 Set in lovely established and extensive gardens. 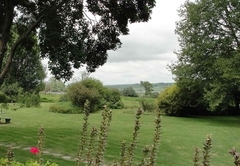 Take time to relax and enjoy the country atmosphere. Wild Berry is ideally positioned as a base from which to visit several Internationally Renowned attractions. 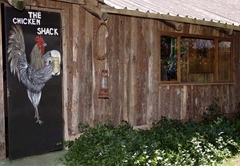 These include the Drakensberg, which is a World Heritage site as well as the unique Lammergeyer Vulture hide, where you can see the extremely rare Bearded Vulture (Lammergeyer). You can also visit the Hlatikulu Crane Sanctuary, a rescue and breeding sanctuary for all three of the crane species found in Southern Africa. It should be noted that the Blue Crane is the national bird of South Africa. 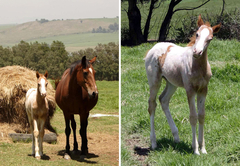 We have a wide range of bird species on the farm, with many species only found in the Drakensberg area of South Africa. 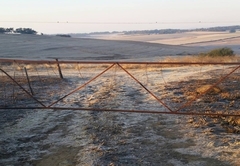 In addition we are only a 20 min drive from the start of the Historic Battlefields along which many sites of the conflicts between Anglo-Boer, Anglo-Zulu and Boer-Zulu can be visited. Response timeWild Berry Guest Farm typically responds to requests in 5-10 minutes.